Centrally located in Boston`s historic Back Bay, Fairmont Copley Plaza sits steps away from Bostons favorite area attractions and restaurants such as the the Boston Public Library, historic Beacon Hill, and the Freedom Trail. Fairmont Copley Plaza offers 383 lavish guest rooms, including 17 elegant suites. In addition to 24-hour daily in-room dining service, we are home to one of the hottest drinking and dining destinations in the city, OAK Long Bar + Kitchen. Stay fit while traveling with our 3,000 square-foot complimentary on-site fitness facilities. OAK Special Events: To be announced. Located on St. James Avenue between Trinity and Dartmouth Streets in Bostons historic Back Bay alongside the Boston Public Library, Trinity Church and 200 Clarendon. It is also steps away from Beacon Hill, the Charles River Esplanade, Copley Place Mall, the renowned boutiques of Newbury Street, and the Hynes Convention Center. Also across the street from Amtrak, Acela and Subway stations and just under 2 miles from the historic North End. 200 ClarendonBuilt in the 1970s, 200 Clarendon is a glass plated building located next door to Fairmont Copley Plaza. Blue Man GroupBlue Man Group will rock your world. Blow your mind. And unleash your spirit. Leave your expectations at the door and let three bald and blue men take you on a spectacular journey bursting with music, laughter and surprises. Boston Celtics - BasketballNational Basketball Association, Games at TD Garden. Boston CommonAcross Charles Street from the Public Garden- the Boston Common marks the official start of the Freedom Trail. Boston Common is also home to a skating rink in winter and a splash-around Frog Pond in summer. Boston Duck ToursReady for the ride of your life? Take a memorable tour of Boston on a DUCK, a World War II style amphibious landing vehicle that will take you to the city's many historic sites before diving into the Charles River for breathtaking skyline views. Boston MarathonUpcoming Dates: April 15, 2019. April 20, 2020. April 19, 2021. April 18, 2022. April 17, 2023. April 15, 2024. Boston Public Library Art and Architecture ToursThe Boston Public Library offers public tours highlighting the architecture of Charles Follen McKim and Philip Johnson, as well as the many works of famed sculptors and painters. The free tours last about an hour and are given by volunteer guides. Boston Symphony HallBoston Symphony Hall is home of the acclaimed Boston Symphony Orchestra and has been widely regarded as one of the top concert halls in the world. CHEERS RESTAURANTA replica on the facade of the hit TV bar from the show Cheers. Plenty of souveniers- food and beverage inside. CambridgeSide GalleriaCambridgeSide Galleria is an urban shopping center in Cambridge, MA with over 120 stores and restaurants. Carly CopleyCarly is the hotel's Canine Ambassador. Carly is a black labrador who spends most days roaming the lobby and is available for walks and visits. Copley Place MallLocated just across the street Copley Place is Boston's most distinctive shopping destination with 75 fabulous stores including Neiman Marcus, Barneys New York, Tiffany and Co, Jimmy Choo, Salvatore Ferragamo, AX, Louis Vuitton, Burberry and more. Easter Brunch 2019April 21, 2019 Extravagant, family-friendly Easter Brunch Sun, April 21 with multiple seating options: 10:30am, 11am, and 2pm. Eventbrite has menu. Children will enjoy petting zoo, Easter egg hunt, arts n' crafts, decorate-own-cookies. FREEDOM TRAILFollow the red brick road past 16 sites that mark Boston's colonial history and role in the start of the Revolutionary War. Favourite stops include Paul Revere's house and Old North Church. A great walking tour of the city. Cost is free. Fairmont Gold July 4 CelebrationFairmont Gold guests are invited to a July 4 celebration on the Health Club roof deck, 8pm - 11pm. Honor bar and free hors d'oeuvres will be served. Event is EXCLUSIVE to Gold guests only. 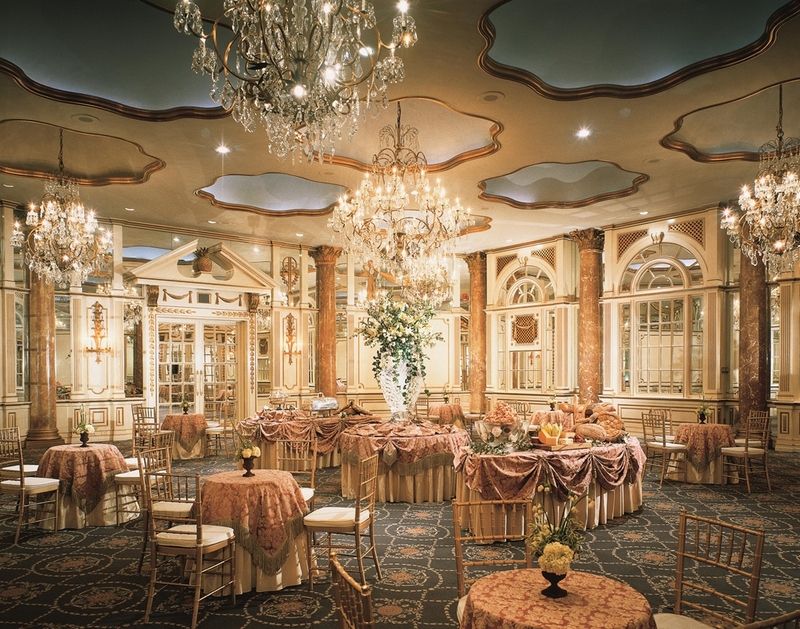 Guests must bring invitation and Gold room for event access. Fenway ParkFenway Park is known as America's Most Beloved Ballpark, located at 4 Yawkey Way near Kenmore Square. It is home to the Boston Red Sox. First Night BostonA popular NYE celebration, there will be entertainment and special attractions, focused in Copley Square and Back Bay. Free and open to the public. At midnight, there will be a countdown, Pyrotechnics and Light Show from our roof. No roof access. Fresh Pond 9-hole Golf Course-MunicipalThe 9-hole Fresh Pond course at the Fresh Pond Golf Course facility in Cambridge Massachusetts features 2994 yards of golf from the longest tees for a par of 35 . The course rating is 35.1 and it has a slope rating of 120 on Blue grass. Frog PondThe Boston Common Frog Pond sits at the heart of Boston Common, the oldest and most treasured public park in the US. In the winter, you can ice skate on it, in the spring and fall it is a reflecting pool, and in the summer, it's a spray pool. Frog Pond Ice SkatingA hopping spot for ice-skating is Frog Pond on the Boston Common. Although dependent on the weather, Frog Pond has its own ice-making system. It also offers skate rentals and hot cocoa at the Pond Cottage. G2O SpaProviding The Formula for the Essentials of Life, G2O is Boston's Day Spa Resort for men, women and couples. Gillette StadiumGillette Stadium is a stadium located in Foxborough, MA, 28 miles SW of downtown Boston, and is New England's premier sports, entertainment and event venue. It's home to the New England Patriots and New England Revolution. Gingerbread Houses For Grown-UpsDecember 2019 21+ only Fairmont Copley Plaza is letting adults in on some traditional holiday fun! Grown-up guests will toast the season with festive libations while decorating their own gingerbread house to take home. Granite Links Golf ClubGranite Links features 27 challenging and beautifully maintained holes of links style golf with some of the most inspiring scenery around including breathtaking views of Bostons skyline. Harvard UniversityLocated across the Charles River in Cambridge, Harvard University is the oldest institution of higher learning in the US. Holiday BacchanalDecember 2019 Toast the holidays with a lavish four-course Bacchanal dinner set in the hotel's dramatic 106 year-old elegant lobby. Holiday PopsLed by longtime conductor of the Boston Pops, Keith Lockhart, Holiday Pops is known as one of the highlights of the years and is performed by the world famous Boston Pops orchestra in a performance of all your holiday favorites. Family-friendly. House of BluesHouse of Blues Boston is a live music concert hall, located on Lansdowne Street near Fenway Park. Mount Hood Golf Course MunicipalThe 18-hole Mount Hood course at the Mount Hood Golf Course facility in Melrose Massachusetts features 5553 yards of golf from the longest tees for a par of 69. The course rating is 65.7 and it has a slope rating of 107. Museum of Fine ArtsOne of the premier art museums in the US, the Boston Museum of Fine Arts houses a large collection of American art, Impressionists, Asian and Egyptian art, among others. NEW ENGLAND AQUARIUMThe aquarium features 7000 aquatic animals from around the world. The four-story Giant Ocean tank contains re-created coral reef and is home to sharks, turtles and moray eels. Nahant Golf ClubThe 9-hole Nahant Golf Club in Nahant Massachusetts features 1898 yards of golf from the longest tees for a par of 30. The golf course is open to the public year-round, weather permitting. Newbury Street ShopsEight blocks filled with salons, boutiques and fabulous dining. Boston's famous Newbury Street is home to many popular retailers, as well as specialty shops and art galleries, and has something for everyone. Newton Commonwealth Golf Course MunicipalThe 18-hole Newton Commonwealth course in Newton Massachusetts features 5305 yards of golf from the longest tees for a par of 70 . The course rating is 67.0 and it has a slope rating of 125 on Bent Grass. OLD TOWN TROLLEYRelive Boston on board a fully narrated one hundred-minute tour. Sit back and enjoy all that Boston has to offer while boarding and re-boarding the Orange and Green trolley at stops conveniently located throughout the city. Orpheum TheatreThe Orpheum Theatre is one of the oldest theaters in the United States, built in 1852 and was originally known as the Boston Music Hall. It operates as a mixed-use hall, primarily for live music concerts. PRUDENTIAL CENTER and SKYWALK OBSERVATORYBoston's only sky-high vantage point for sweeping 360 degree views of Greater Boston and beyond, from the 50th floor. The Prudential Mall is home to a variety of stores from Ann Taylor and Bath and Body Works to Lacoste and Teavana. PUBLIC GARDENSVisit this picturesque park and the bronze statues of the Mallard family, the ducks made famous in Robert McCloskeys childrens classic, Make Way for Ducklings. Swan pedal boats in the summer. Paradise Rock ClubParadise Rock Club is a 933-capacity music venue located in Boston, MA. Because of its relatively small size, it appeals to top local rock and alternative performers as well as American bands visiting Boston for the first time. Presidents Golf Course MunicipalThe 18-hole Presidents course located in North Quincy Mass. features 5610 yards of golf from the longest tees for a par of 70 . The course rating is 66.8 and it has a slope rating of 108 on Bent grass. Great course for women golfers. QUINCY MARKETQuincy Market and Faneuil Hall are about a 25 minute walk from the hotel. Faneuil Hall is a historic state building located within Quincy Market. Robert T. Lynch Municipal Golf CourseWhile the routing seen today largely reflects Stiles and Van Kleeks original plans when the golf course was constructed in 1933, the course has gone through a few transformations, mainly due to land acquisitions along the propertys perimeter. Robert T. Lynch Municipal Golf CourseWhile the routing seen today largely reflects Stiles and Van Kleeks original plans when the golf course was constructed in 1933, the course has gone through a few transformations, mainly due to land acquisitions along the properties perimeter. Rockland Trust Bank PavilionRockland Trust Bank Pavilion is one of Bostons most popular outdoor concert venues and has hosted some of the citys most memorable events. Situated on Boston Harbor and adjacent to Rowes Wharf. Samuel Adams BrewerySam Adams Tour includes the history of the Sam Adams brand, experience the entire craft brewing process, taste the specialty malts and smell Hallertau hops used to brew Sam Adams Boston Lager, and sample a few of the award-winning beers. SoWa Open MarketSoWa Open Market, open every Sunday during the Spring and Summer draws thousands of visitors from across New England, eager to sample the regions' best collection of local artisans, farmers, and specialty vendors. TD GardenTD Garden, often called Boston Garden and "The Garden", is a multi-purpose arena in Boston. Many local, regional and international artists, spanning a wide range of musical genres, perform there. TD GardenHome of the Boston Bruins hockey, and Boston Celtics. Easily accessible by Orange Line T subway, Back Bay is across from hotel, take to North Station, which arrives directly below TD Bank Garden. Approximately 10 - 15 minutes. The SinclairThe Sinclair is a live-music venue & American kitchen with gastropub influences. It's located at 52 Church Street in the heart of Harvard Square, Cambridge. Wang TheatreListed on the National Register of Historic Places, the Wang Theatre has housed the performing arts since opening in 1925. Today it serve as an impressive venue for world-class theatre, music, Broadway, and dance. ZOO NEW ENGLANDZoo New England is the private- non-profit organization responsible for the operation and management of the Franklin Park Zoo in Boston and the Stone Zoo in Stoneham- Massachusetts.